"My professional satisfaction comes from helping local clients achieve their goals; in turn, I know I'm helping my community to grow and prosper." Kristin assists a variety of clients, ranging from developers to nonprofit organizations and financial institutions to individuals, with their commercial real estate needs. Working collaboratively with clients, title companies and lenders, she efficiently closes real estate sales, acquisitions and financing transactions. 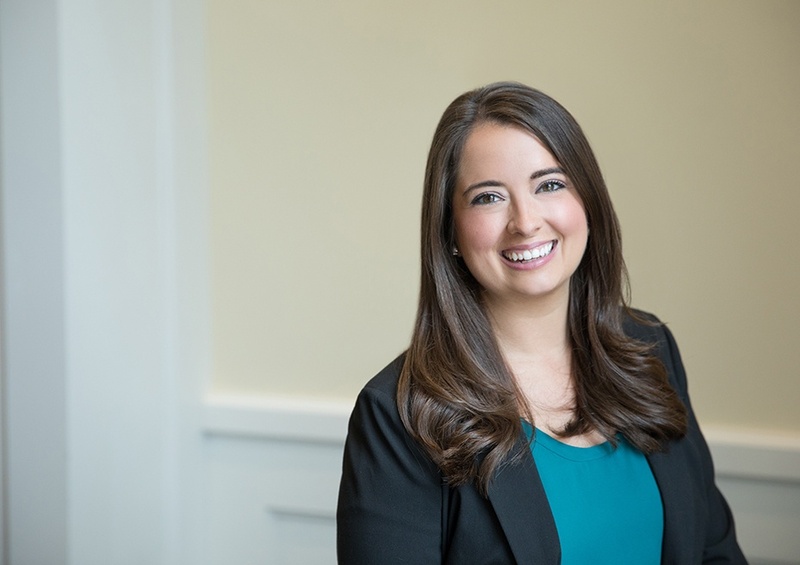 Kristin also works closely with local government attorneys and planning offices, preparing deeds and related easement documents required for property development. A lifelong University of Virginia and Washington, D.C. sports superfan, when Kristin is not working, she enjoys cheering on (and commiserating with) her favorite teams, working out at Orangetheory Fitness, and spending time with her family. While attending law school at the University of North Carolina, Kristin realized that she is truly a Virginian at heart. Born and raised in Stafford, Virginia, she has witnessed the Fredericksburg area transform from a sleepy city to the thriving community it is today.